The Doctors talked about a very unique gym. Your face has 57 muscles and now a pop-up fitness boutique in Manhattan called Face Love Fitness believes that when you stimulate pressure receptors under the skin, you increase oxygen and blood circulation, resulting in less wrinkles and a firmer jaw line. The Doctors were joined by Face Love Fitness founder Rachel, who explained that the facial muscles can be toned and strengthened just like your body. The workout is 15 minutes and costs just $15. Dr Jennifer Ashton was so excited that she couldn’t wait to try the exercises herself. Rachel said it’s empowering and you can see results instantly. Heidi, the other founder, explained that they had to create a membership program because people kept coming back every week. 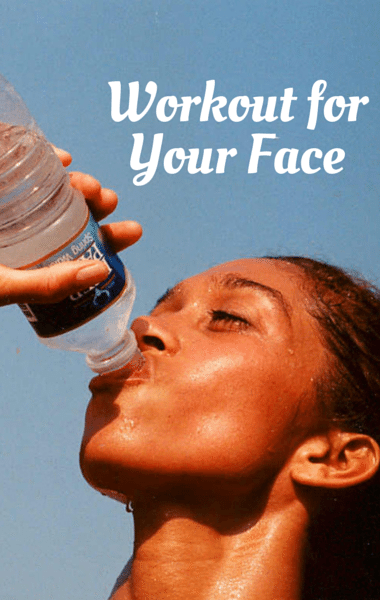 Would you try fitness for your face? Dr Jennifer Ashton said the over-the-counter pregnancy tests are incredibly sensitive. They look for a hormone called HCG and can detect a pregnancy as early as the first day your period is due. They explained that the pregnant test seller actually meets you in person and pees on the test that you then take home. The Drs: Can People With Dementia Give Consent? The Doctors then shared that a former Iowa lawmaker has been accused of assaulting his wife in her nursing home. The situation is very complicated because his wife has dementia and they’re both 78 years old. They were married for 7 years but as her dementia and Alzheimer’s worsened, she entered a retirement home where the nursing staff told her husband she was no longer capable of legally giving consent. He ignored the message and her family members are outraged, calling it abuse. Dr Rachael Ross said in Iowa it is illegal to have relations with someone who is demented. Dr Drew Ordon said dementia patients have good days and bad days. The Drs: Does Multi-Tasking Lower Your IQ? The Doctors then wondered who was guilty of checking their phones in front of the TV. According to new research, that act can actually lower your IQ. Switching between screens trains your brain to be disorganized. Dr Ross said she came from a culture where the TV watches her all the time, meaning the TV is on, but she’s doing other things, not really watching it. Dr Ashton said they need to do the study with gender specifics, because women multitask all day long. Taking a break from technology will allow you to focus more on your other activities. Do you multitask? Or do you try to focus on just one thing at a time?